Would you stay in a 'Virgin' hotel? Sir Richard Branson, the billionaire owner of the Virgin group, has announced he is investing millions in a brand new chain of hotels, which will be known as 'Virgin Hotels'. This week, he officially opened his first hotel on the US West Coast, located in San Francisco. 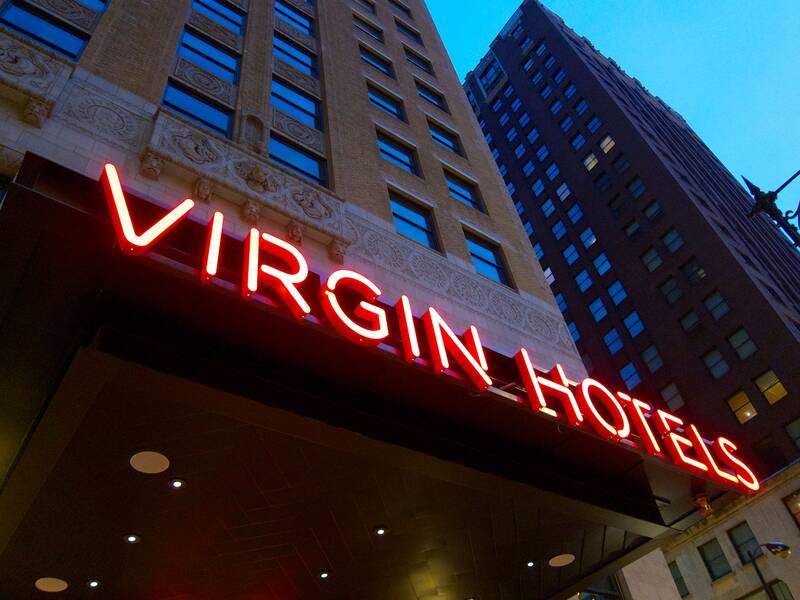 This is the second hotel in the world to feature the Virgin Hotels name, and is joined by an existing hotel in Chicago. The new San Francisco hotel features 192 guest rooms, two penthouses, a rooftop bar, a VIP lounge, as well as several shops and restaurants. One of the restaurants serves coffee made by actor Hugh Jackman! Virgin says the hotel is a “mix between San Francisco’s Victorian-era past, the city’s 1960s rock ’n’ roll appropriation of Victorian styling, and a 19th-century British feel.” This theme will be continued through all of Branson's hotels. Branson plans to open 10 hotels by 2020. Virgin's original plan would've seen the first hotel open in 2010, however due to the Great Recession and problems sourcing properties, the project was pushed back to 2015. Despite the delay, as well as fears about the profitability of some of Branson's other companies, he is planning an extremely quick roll-out of the Virgin Hotels brand, and is planning on opening five hotels this year alone. He is also planning to open a Virgin Casino in Las Vegas on the site of the Hard Rock Casino. All of Branson's hotels will be located in the US up until 2020, when we will open a hotel in Edinburgh, Scotland. Branson says his hotel brand is geared towards female business travellers, and will provide a high-class experience with an honest approach. "There won’t be hidden charges, and you won’t get charged $10 for a chocolate bar you know you can buy at a store for $2," he claims. It seems that time will tell to see if these new hotels will lose their virginity. do you like the look of the new hotel? tell us in the comments below!